There will be a small reception following the reading. 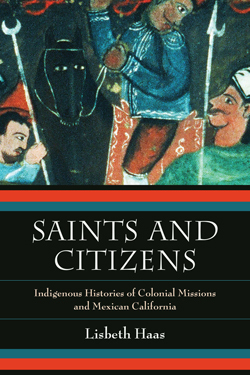 Saints and Citizens is a bold new excavation of the history of Indigenous people in California in the late eighteenth and nineteenth centuries, showing how the missions became sites of their authority, memory, and identity. Shining a forensic eye on colonial encounters in Chumash, Luiseño, and Yokuts territories, Lisbeth Haas depicts how native painters incorporated their cultural iconography in mission painting and how leaders harnessed new knowledge for control in other ways. Through her portrayal of highly varied societies, she explores the politics of Indigenous citizenship in the independent Mexican nation through events such as the Chumash War of 1824, native emancipation after 1826, and the political pursuit of Indigenous rights and land through 1848. Lisbeth Haas is Professor of History / Chair of Feminist Studies at the University of California, Santa Cruz, and author of Pablo Tac, Indigenous Scholar: Writing on Luiseño Language and Colonial History, c. 1840 (UC Press, 2011) and Conquests and Historical Identities in California, 1769–1936 (UC Press, 1995). 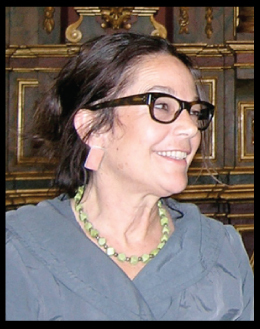 Professor Haas’s research interests include local histories of globalization, indigenous histories of California, subaltern scholars and their writing and painting, Spanish colonial and Mexican California, the Borderlands – especially the U.S. and Mexico, the Colonial Americas, California Studies, Global Histories of Race, Ethnicity, and Diaspora, Gendered Stories. Introduction and Chapter 2 from "Saints and Citizens"